This book can be purchased directly from the publisher. 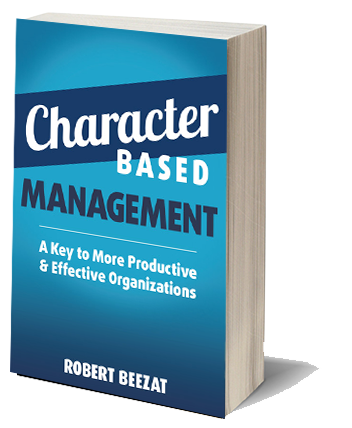 The book is also available at Amazon and Barnes & Noble and is available as a Kindle or NOOK ebook. Who am I? What am I? Why am I here? Is there a God? What will really make me happy? These are questions all of us ask ourselves from time to time. Our answers to or avoidance of those questions shape the practical and moral choices we make every day. Those choices, in turn, determine our level of happiness. As human beings, we are born to know and love. With a grasp of this basic concept, we can make choices and decisions which will enable us to live authentic, good, and happy lives in the short term and the long run. I have seen so many people who do not attain the happiness they are looking for. Rather, they often make important life-choices that cause misery for themselves and the people around them. 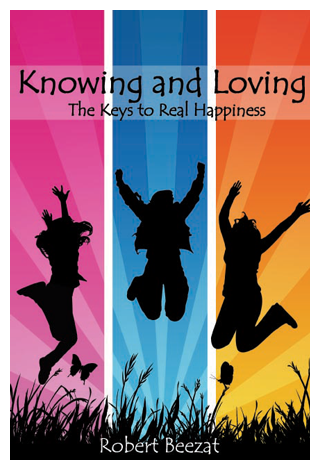 This book will give people a solid foundation for understanding the most basic questions of reality so that when they make choices on how to live their lives in order to be happy, they will make those choices based on what it means to be a happy and flourishing human being. Written in language people will be able to understand and in short chapters which provoke thoughtful reflection, this book will lead people to think about the crucial issues which affect their happiness as human beings. And it will take these ideas and apply them to the most common human activities within which most of us seek happiness on a daily basis: work, marriage, family, and play. 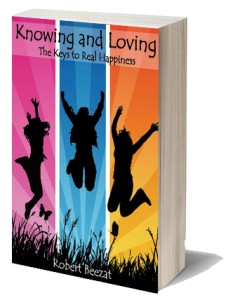 This book is written for thoughtful and serious-minded women and men who want a modern, intelligent, spiritual foundation upon which to build their lives and are disenchanted with traditional religious answers to issues of happiness. This foundation will serve as a touchstone as they confront the many challenges they experience in trying to live happy lives. Read, listen, observe, and think in order to learn and understand as much of reality as we can. Seek out, develop, and nurture loving relationships with other human beings. Pursuing both of these uniquely human capacities and abilities will assist us in making choices and decisions which will contribute to our happiness as human beings. All my life, I have tried to bridge the gap between faith and reason. Reality has so many elements and complexities to it that I always thought that the more perspectives I brought to any matter under consideration, the better chance I had of understanding the totality of reality. I respect and pursue the knowledge that we gain through reason. But I also think that reason alone is inadequate to fully explain reality as I think it truly exists. I think, primarily because of my experience of love as expressed and lived through interpersonal relations, that there is something about each of us as human beings which goes beyond the physical. So, I have pursued knowledge of all kinds, including spiritual and theological knowledge, because I think I will have closer understanding of what reality is, and, consequently, how to best live my life in a way that is both a good life and a happiness producing life for myself and those with whom I interact and share my life. For the last 250 years in western culture, there has been a huge, unresolved conflict between the long-ascendant Christian world-view and the Enlightenment-inspired world-view. It is basically a conflict between faith and reason. What and who are human beings? All of these changes have introduced many elements into all of our lives with which we did not have to deal with in the past. As a result, confusion, confrontation, anger and turmoil seem to be on the rise locally, nationally, and internationally. We need a new synthesis of how we view reality and how we as individuals and as societies fit into that reality. No set of ideas, no religious belief system, no economic theory, or no approach to government has all of the correct answers. I don’t have all of the correct answers. But I think it is important for all of us now and moving forward to the future to try and arrive at some basic understanding and agreement regarding the fundamental questions that need to be asked and then have a respectful dialogue regarding the answers we come up with. My book examines and develops this new world-view and translates it into practical principles and examples of how to incorporate honest intellectual inquiry and an active, transcendent, and generous love into the midst of ordinary, day to day life from individual, family, societal, and cosmic perspectives. Knowing and loving. Head and heart. On one hand, we are taught by our culture, particularly with the rise of scientism, that hard facts and rational thinking are the keys to understanding all of reality. Certainly science and fact-based reasoning are significant contributors to our understanding of reality. But it is not the only basis of our knowledge and understanding of all of reality. We also learn and know through our relationships with reality, particularly our love-based, interpersonal relationships. Some people say that love is strictly a biological and emotional phenomenon. And certainly biology and emotions often are a part of love. But as human beings, we are more than our biology and emotions. We are capable of choosing to enter into and be part of loving, interpersonal relationships which are as “real” as the hard facts of science. Those relationships and the bonds they create and nurture are real things. They exist. They have physical manifestations. But they are also spiritual realities. And it is this physical/spiritual reality that we experience and call love. And, when we decide to do something as human beings, we usually take both types of knowledge into account. We do “think” with our heads and our hearts. Sometimes in our decisions we lean more on our heads and sometimes more on what our hearts are telling us to do. In order to make good decisions for ourselves and within the societies in which we live, we need to take into account what both our heads and hearts tell us about reality and how we should most appropriately respond. But in addition to helping us make good decisions, creating and sustaining loving relationships is a choice we can make and an action we can take to build and create a better world. We can create and expand the reality of love in the world. Everybody and everything we come in contact with can flourish if we approach them with love. We are on the way to mastering the winds, the waves, tides, and gravity. Science is wonderful. And, it is also time for us to take the challenge and co-create the better world we want for ourselves, our families, our communities, our country and our world, using our abilities to know and to love.